Shari Becker was born in Montreal, Quebec, and was raised speaking both English and French. As a child, she spent her summers in the Adirondack Mountains catching fireflies, minnows, and toads. 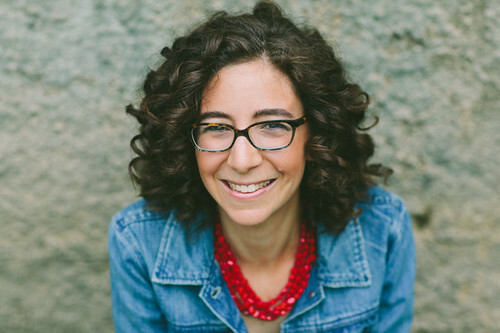 She has an MA from New York University and has worked for Nickelodeon, for Disney-owned companies, and even for an Emmy Award–winning puppeteer. She is the author of two picture books, including Maxwell’s Mountain, a Junior Library Guild Selection and Charlotte Zolotow Honor Book. She now lives in Brookline, Massachusetts, with her husband, their two daughters, and their dog. She loves lakes, but despises the bridges that run over them. After Hurricane Sandy, I had to take a road trip from Michigan to Boston, and I started hitting all these detour signs. They sent me hours out of my way — four hours, to be exact. The detour signs were so far apart that I didn’t know if I was even going in the right direction, and then the sun set, and my GPS stopped working. It was so scary. I started thinking about climate change and weather and how it was going to impact all of us. I imagined this girl stuck in a glass house, trapped because she couldn’t breathe the air outside. (That scene actually exists in the novel.) Then I started thinking about my friend who was born with a heart defect and has a massive scar across her chest. I put the two ideas together, and they snowballed into The Stellow Project. 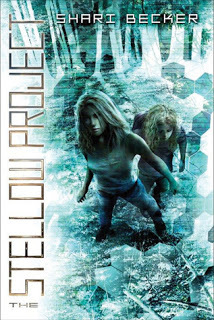 Unlike a lot of current YA dystopian or sci-fi novels, The Stellow Project is very contemporary, more along the lines of TV shows like Lost or X-Files. The story takes place in our world, but there are agencies and power players who are doing secret work under the radar. The Stellow Project is also really a climate change story, and I haven’t seen a lot of fiction dealing with this topic. My publisher actually calls The Stellow Project cli-fi instead of sci-fi, which I think is really cool. Finally, unlike a lot of current adventure / mystery books, there are no clear-cut good-guys or bad-guys. All my characters are complicated, frequently misguided. They all (except, maybe, June) believe that they are doing the ‘right’ thing. I was really intrigued by concepts of truths, ethics and motivation when I wrote this. Yes! I spent all of my childhood summers in Schroon Lake, New York, which is in the Adirondack Park, about 45 - 60 minutes south of Albany. Many of my best memories come from my summers there - catching fireflies and minnows, picking berries by the side of the road, jumping in the waves after a motor boat drove by. The lake itself is surrounded by pine trees and mountains on all sides, and it’s so majestic. For a few summers we had this amazing bakery with red and white checkered tablecloths. All the kids would walk over and get freshly baked goodies. It closed after a few years, but I never forgot the way it smelled when I walked in. Little bits of my childhood Adirondack experiences are scattered throughout the story. For me, this was a book about Lilah’s personal growth. I knew early on that the ending needed to shake up Lilah’s world and make her understand that nothing was as it seemed. I personally love stories that leave you imagining what happens after the ending. The Giver does that, so does The Golden Compass, even movies like 12 Monkeys and Inception. I really wanted to leave readers thinking. I wanted them to go back, look at the story again and see that the clues were always there. 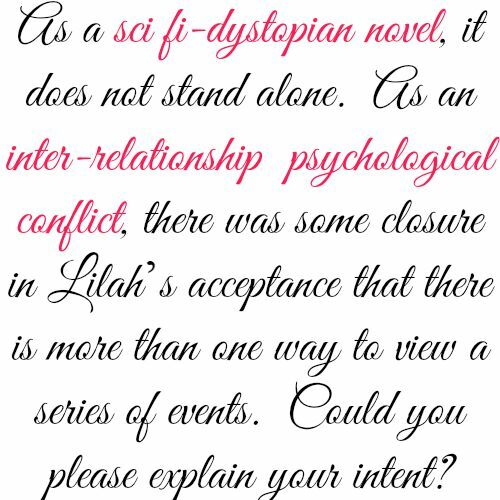 In the end, I felt like Lilah’s character had psychological closure even if her journey was just beginning. She finally understood what her role in the bigger picture was. I tend to fall in love with characters and voice, so I have a huge range of styles and genres that I enjoy. Barbara Kingsolver’s books line my shelves, so do Kent Haruf’s. I recently finished All The Light We Cannot See, which I loved (despite my initial reluctance to read another WWII novel); the writing was exquisite and poetic. I’m totally obsessed with Maggie Stiefvater’s work. Scorpio Races is one of my all time favorite books. This spring I devoured Jandy Nelson’s I’ll Give You The Sun. I think the voice in that piece is spectacular. Thank you! Novel writing is definitely my focus these days, even though picture books will always have a special place in my heart. I’m working on a paranormal YA novel that’s a little like Heroes meets Field of Dreams, and I have a contemporary YA I’m brainstorming about a girl and her helicopter parents. 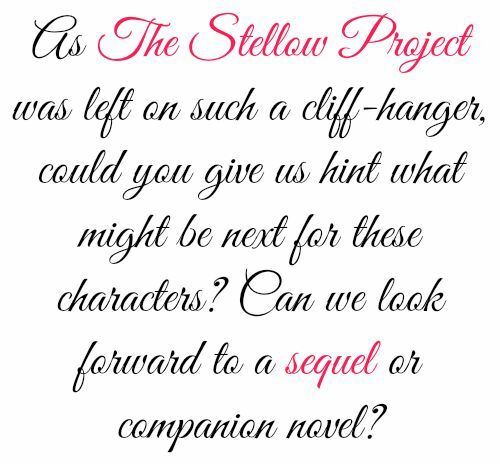 Of course, I’m wishing and hoping that a Stellow Project sequel comes to fruition, too. A few years ago I saw a documentary about an elephant sanctuary and now I’m dying to go and visit one. I am so in awe of elephants’ depth of emotion and intelligence. I kind of want to hug an elephant … or have one as a pet. Writing is like any other skill. You need to put in the time and you need to practice. Your work isn’t going to be great at first, and you need to be brave enough to hear what isn’t working, and then be persistent enough to try again … and again … and again. Read as much as you can, but that won’t be enough. Take a class with a masterful teacher who will help you find your voice instead of trying to get you to write like they do. Join a great critique group with people who have a shared vision of what it means to write and workshop together. If you think you’re ready to get published, be practical and do your research. You can learn a lot about editors and agents from a Google search. Don’t pitch a book about warlocks to an editor or agent who loves contemporary fiction. Network and try to meet agents and editors in person at conferences or events. It’s always easier to pitch once you’ve made a connection. 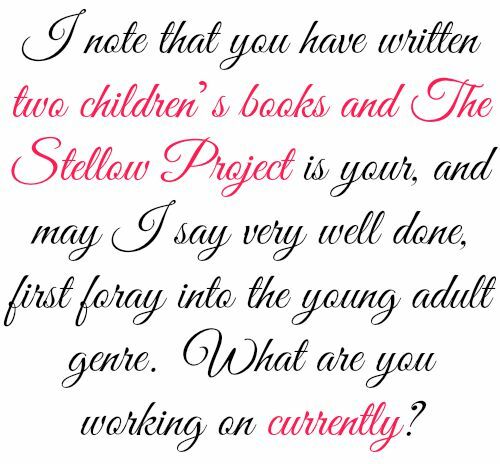 The Stellow Project is actually the third novel I wrote. The first was terrible. The second was almost good - it even got held by a publisher for a few months, but was ultimately rejected. I was so heartbroken that I didn’t write again for months. But in retrospect it wasn’t good enough. Whatever you do, don’t give up. If you can’t sell a piece, write another and another. I just loved writing Flori. So much of this book felt dark and ominous, but Flori was my beam of light. I had fun writing her dialogue and thinking about how a little kid would look at the world. I tapped into traits from my daughters to create her. My older daughter swims like a fish, and my younger daughter is cuddly. Flori is like a mash up of the two of them. Dr. Ruiz would be my second favorite. In early drafts, she was just a bad guy. But as I got to know her better — as I began to dive into the complexities of her personality and her motivation — as I thought about her as a mother and a determined scientist — I found myself becoming fascinated by her. 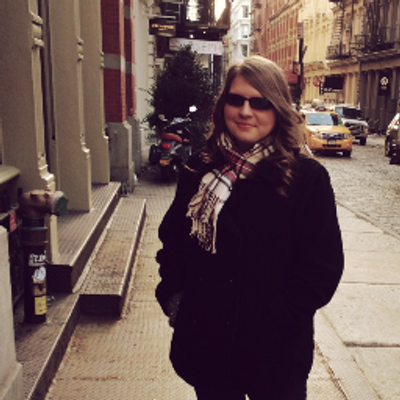 Thank you, Shari Becker, for visiting the blog today! I really hope we get a sequel! If you haven't already, everyone should read The Stellow Project. If this doesn't convince you, go read my review. 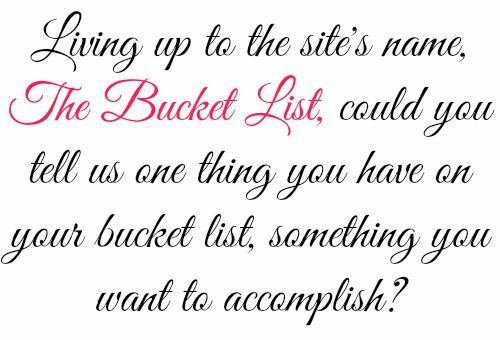 Click here to check out Shari Becker's website.